Mexican Psych, Garage, Folk, Funky, Soul, Bossa Nova, Jazz, Tropical, Ambient & Avant-Garde music. Mexican and Latin American releases of classic Rock bands & Pop artists on Lp and 7”. 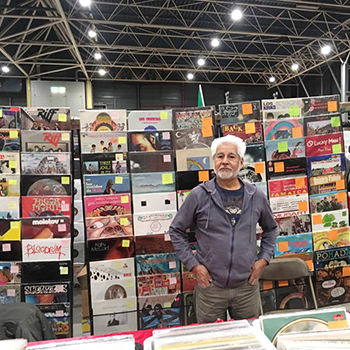 Developer of many titles on Cd and Lp from one of the top mexican music labels ‚Discos Orfeon‘, producer of the iconic and most wanted and famous vinyl from all over the time in Mexico, The Kaleidoscope.